Authentic: You would find this in Italy. Italian-American: Twists and innovations Italian-Americans have made to Italian food, like chicken parm, wedding soup, or olive oil on the table for your bread (you can find none of those things in Italy). Ghetto Italian: That bottom range occupied by Chef Boyardee, grocery store hot bar pasta, and any venue with more than one Italian flag or “red” sauce on the menu. On my scale, Vinny’s at Night falls squarely between Ghetto and Italian-American. Go on a Tuesday night at 7pm and the place is empty. 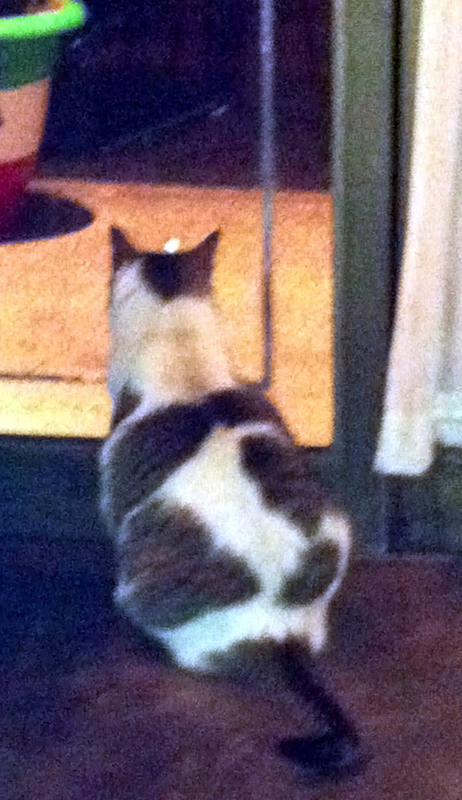 But, instead of feeling forlorn, the atmosphere is quiet and welcoming, if for no other reason than Rambo is snoozing on a bar stool near the entrance to the dining room. Once we sat, however, we were greeted with a horrible surprise. Eh, I wanted pasta anyway. 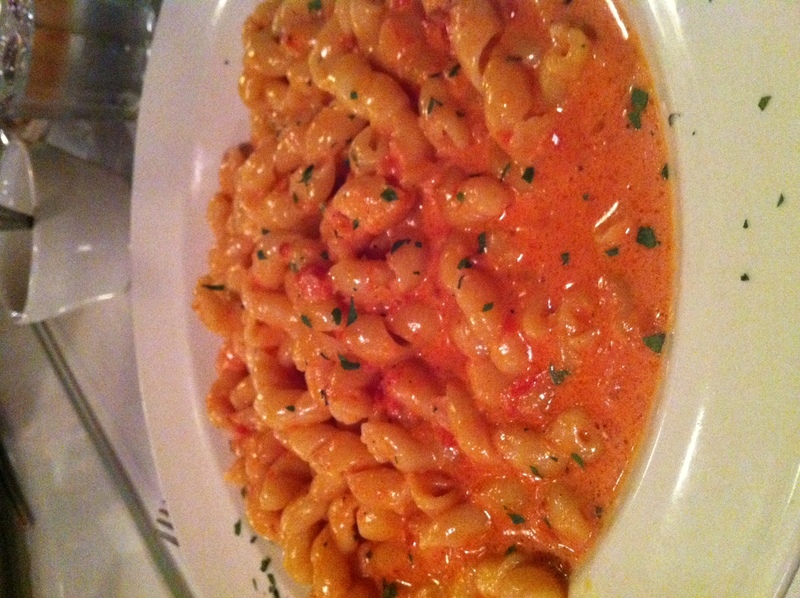 And when I found out that they not only had red sauce, they had PINK sauce, well, forget it. Homemade fusilli with pink sauce, please, but not before starting with Arancini. Their risotto balls had the perfect gluey consistency of ghetto Italian food, rife with peas and sitting atop Vinny’s (actually quite refined) red sauce. The pasta arrived in massive quantities, and while I wouldn’t call the price “cheap,” the homemade noodles were absolutely worth it. 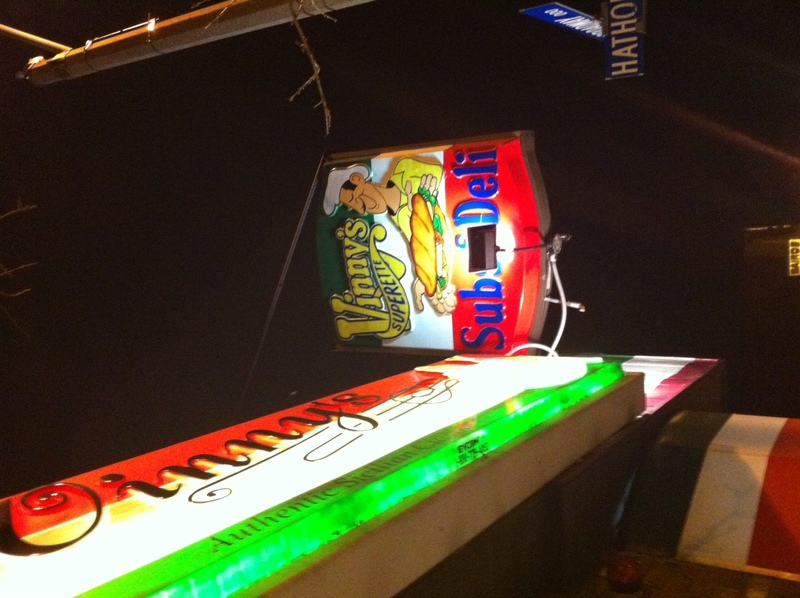 In truth, Vinny’s is no Rino’s, (which I would put between the Italian-American and Authentic categories on my scale). But, the mob activity at Vinny’s is much less pronounced, the parking is easier, and I’m a sucker for sauces named for colors. Thanks Vinny’s, I’ll be back.